Clothing company Everlane is using its Black Friday sales to provide container farms for its garment workers in Vietnam. How cool is that? There's a farm in that shipping container. The fashion industry is pretty well known for having a crappy record when it comes to sustainability and ethical issues – things like wasting natural resources and not paying garment workers a living wage. But Everlane has made sustainability a priority, working with ethical factories around the world and being super transparent about what it costs the company to make its clothes (even going so far as offering “Choose What You Pay” pricing that labels how much goes to cover manufacturing costs vs. company profit). In a new move, Everlane is partnering with Freight Farms, a Boston-based ag-tech startup that makes ready-to-go hydroponic farms in shipping containers, to bring three of their Leafy Green Machines to the Saitex International factory in Ho Chi Minh City, Vietnam, where Everlane’s denim clothing is made. And the company is using money its Black Friday sales to fund the effort, which is part of its ongoing program to improve the lives of its workers. What Is the Leafy Green Machine? 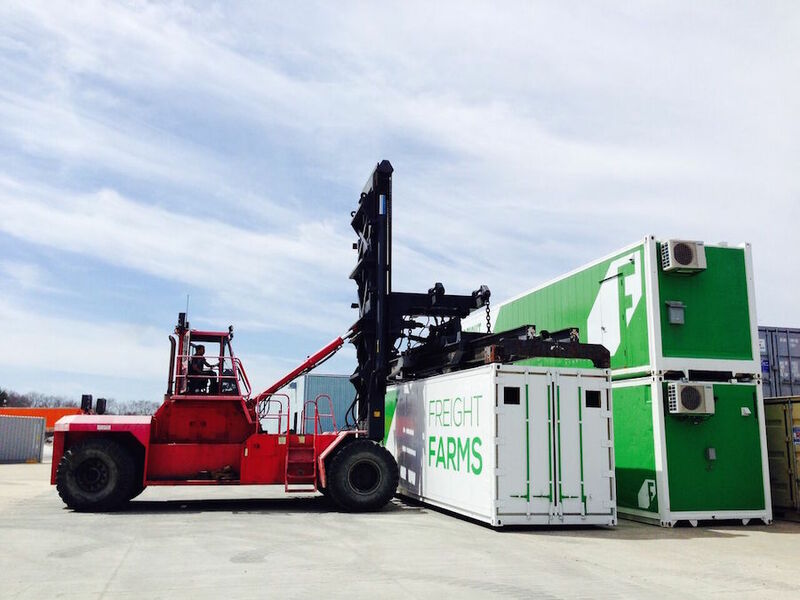 We’ve written about Freight Farms a few times since the company launched back in 2011. 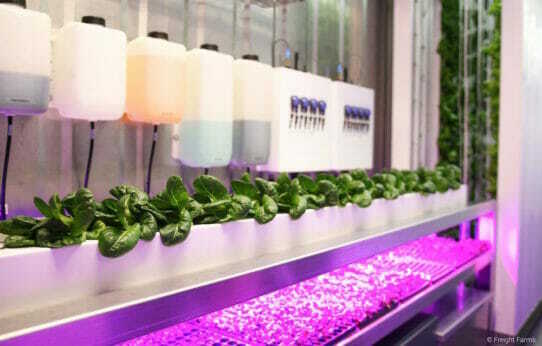 Its Leafy Green Machine comes in a 40-foot-long upcycled shipping container and is operated remotely via smartphone by a computer system that controls temperature, moisture, humidity, and nutrient levels in the hydroponic system. The LGM uses LED lights for its vertical grow towers, doesn’t require pesticides or herbicides, and uses about 90 percent less water than conventional farming the same crops, according to the company. The container farms will be used to supply the cafeteria that serves the 3,900 employees at the LEED-certified denim factory (LEED means the facility meets stringent environmental requirements having to do with energy and natural resource conservation). Everlane reps tell Modern Farmer the container farms will be used for growing lettuce, herbs and root vegetables – like onions, carrots, and radishes – with a portion of space reserved for experimenting with tomatoes and other crops. The three LGMs, depending on what vegetables are being grown, can produce somewhere in the range of 1,500 heads of lettuce, 135 to 240 pounds of herbs, and 180 to 300 pounds of leafy greens – a week. That comes to between six and 12 tons of produce a year. The farms, which cost around $75,000 each, are scheduled to be delivered this coming spring. Everlane decided on this project due to the widespread unregulated use of highly toxic pesticides in Vietnam’s farming sector and wanted to provide pesticide-free produce for the garment workers there, according to the company.